One of the three runways in question was the main runway 9R-27L. Measuring 10,181 feet, it is dedicated to serve Delta Air Lines, American Airlines, Elite Airways and Porter Airlines – Canada’s third largest carrier. It also serves STS Aviation Group’s large MRO hangar that attracts Boeing 747s, 777s, Airbus A321s and more, in addition to facilitating cargo operations from aircraft as large as the Antonov An-225 mega-plane. Being the closest airport to NASA’s Kennedy Space Center, the runway has also once served as the backup runway to the nearby NASA Space Shuttle program. Just north is its sibling parallel Runway 9L-27R, measuring 6,000 feet long. This runway’s main user is Embraer Executive Jets, with direct access from its facilities assembling, painting, test flying and delivering Phenom and Legacy business jets. Finally, across the airfield, is Runway 5-23, measuring 3,001 feet, and primarily used for Orlando Melbourne International (MLB)’s popular general aviation and flight training communities. The impetus for the runway directive was that all three runways had reached an engineering index of 58: a rating of ‘poor’. Increased operations and normal wear-and-tear over the past 25 years mandated the fix. The first challenge was to secure the necessary funding. The governing Melbourne Airport Authority prides itself on being a self-sustaining airport with zero debt. Staff worked diligently with government officials and agencies to obtain the estimated $20 million. The first trip was to meet with representatives of the Florida Department of Transportation (FDOT). 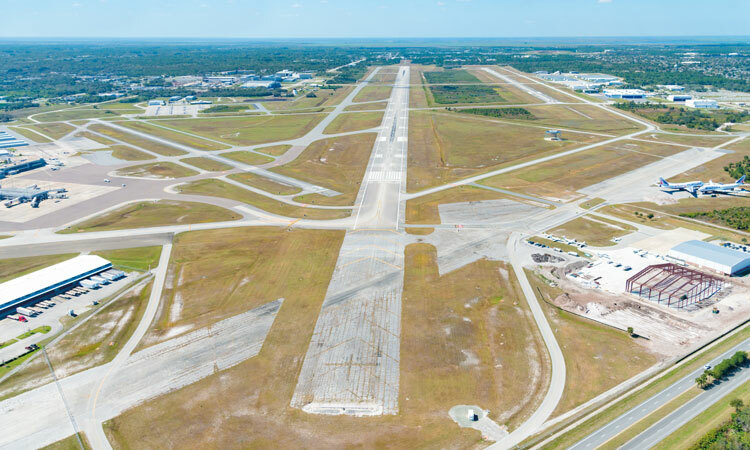 The case was made, and FDOT granted Orlando Melbourne International Airport with two joint participation agreements committing to 50 per cent of the costs for Runway 9L-27R and Runway 5-23. 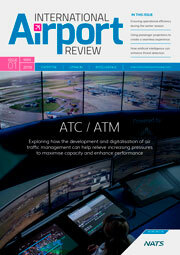 Both funds were graciously matched by the Melbourne Airport Authority with unanimous decisions. With two financed, there was one very large runway left to go. Then the airport received an unexpected call. The White House had selected MLB as the first location for a public visit since President Trump had been elected. In a matter of days, down to hours, the airport worked with all parties to facilitate Air Force One’s first visit since its last landing more than 30 years previously. When Air Force One landed in February 2017, I took advantage of the opportunity and advised the President that the runway was officially rated as ‘poor’. 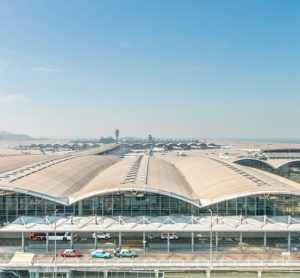 Coincidentally or not, seven months later came the announcement from U.S. Secretary of Transportation, Elaine Chao, that MLB had been granted an $18.1 million Federal Aviation Administration discretionary grant. 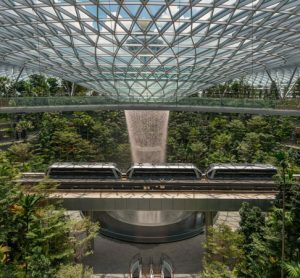 This marks the largest grant ever awarded in the airport’s history. Long-time MLB supporters, U.S. Senator Nelson and U.S. Representative Bill Posey, provided assists for the largest grant MLB has received in recent memory. With the remainder of the funding coming from the airport authority and FDOT for the main runway, all runways were now officially funded. The ongoing airfield renovations total more than $25.5 million. 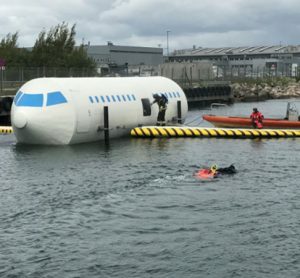 Meanwhile, with construction underway on the north runway, another problem arose: this time from a different type of capital improvement project. Construction of the airport’s new air traffic control tower was also underway, adjacent to the existing 50-year-old tower. The new tower began to literally ‘tower’ over the current one, blocking the controller’s view of the Runway 5 approach. 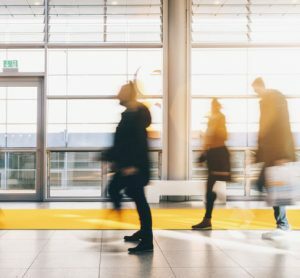 With safety being held to the highest of standards at MLB, Operations Director, Clifford Graham, was already ahead of the game with a plan to include all the airport’s bustling tenants. Local construction teams completed Runway 9L-27R $57,909 under budget, with Runway 5-23 completed three weeks early to satisfy pilot demand. An airside ceremony in March christened Runway 9L-27R with the take-off of a brand-new Embraer Phenom 300 assembled at MLB. 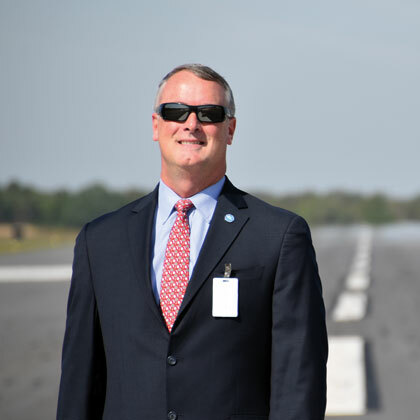 Not a month later, Runway 5-23 was celebrated with commemorative take-offs from a local pilot store owner in his Cessna 172 and two soon-to-be graduates from Florida Tech College of Aeronautics in matching Piper Archers. The completion of these two runways sparked the start of main Runway 9R-27L’s rehabilitation. The airport’s massive capital improvement responsibilities coincide directly with what’s taking place around the airfield. Airside tenant Northrop Grumman is currently going through a $500 million infrastructure expansion to accommodate thousands of jobs for its B-21 Raider contract win. Satcom Direct completed its new corporate hangar to support its world headquarters located close by. And, Apex Executive Jet Center recently opened its second FBO hangar with plans for more to support increasing traffic. With tenants accelerating their operations every day at MLB, it is the airport’s responsibility to provide the necessary infrastructure they need to be successful and safe. It was a team effort and we are all proud of being part of that team.